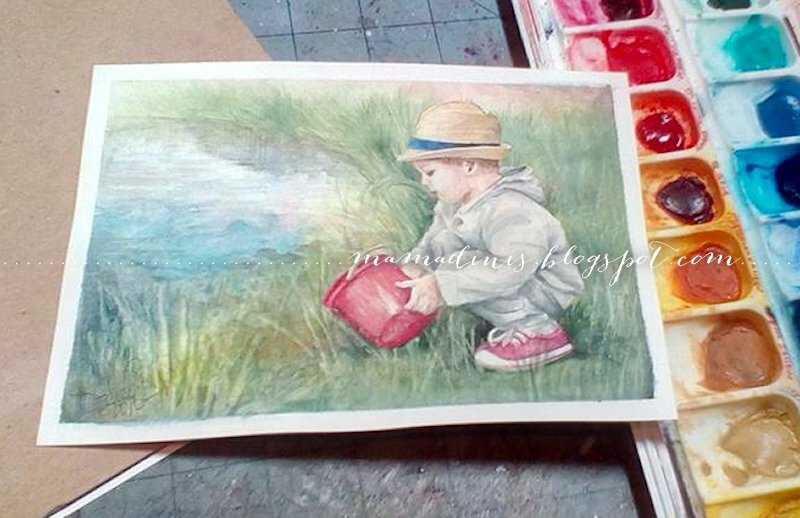 A dear stamping friend shared an enchanted picture of her grandson a few weeks ago, and it inspired a little study in my watercolor sketch book... which led to my first commissioned piece! This is a 5"x7" watercolor painting called "Tenderly". I'm so honored to preserve this special moment. More detail, a salt wash, and some grass (if you look at the final painting, you can see that this went through a few changes along the way, and I should probably have waited to do some of the foreground until later in the process...) Those couple of pink spots are Magenta Nuance that jumped onto my paper - eek - that worked, though, to bring a little warmth to the water. The face took a lot of courage, so I saved it for last, and worked in very light, subtle layers. 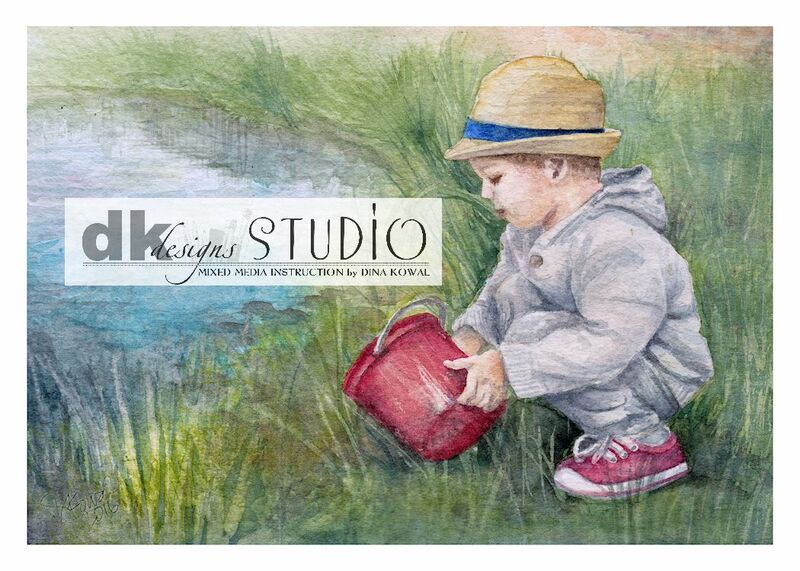 Almost finished here - just a few final tweaks to the water after this! As usual, if you'd like a copy, you can preorder here by clicking below, and I thank you kindly! Other prints are all in stock. Have a wonderful week! We're doing year-end standardized testing this week and more packing, so... yippee! WONDERFUL, and oh so special for your stamping friend. Congrats on your first commission...may there be many, many more!!!! So very neat! Explain the term you used "salt wash" please. Hi Jan Marie! 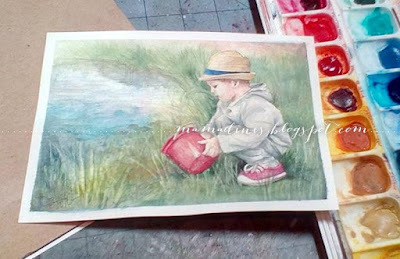 It's a watercolor technique where you sprinkle salt over a wet painted area - the salt absorbs some of the moisture and creates a neat background effect. Your talents are beyond amazing! My brother is a self taught artist who doesn't paint as much as he should but he always paints the face last. He painted a pic of his wife when she was expecting their first child and finished it all and left the face blank for about 2 years!! Drove us nuts!!! LOL!!! I love everything you create! Thanks for you inspiration.